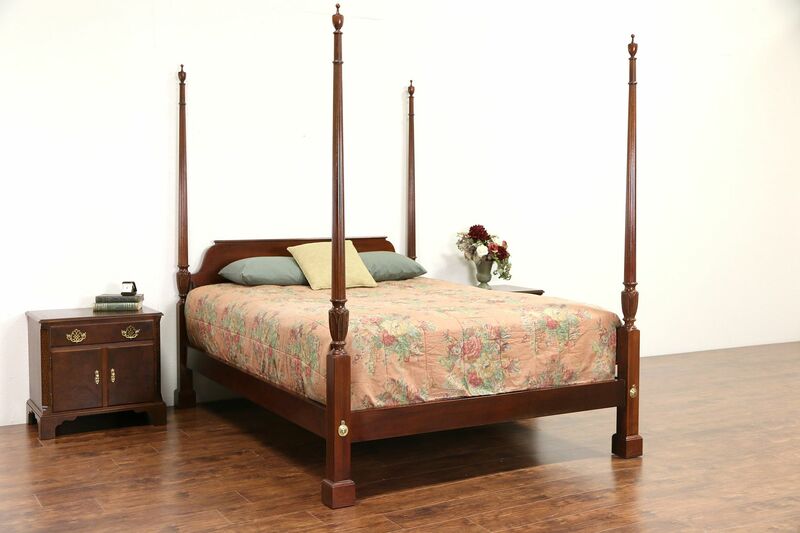 Signed by premier maker, "Baker" about 25 years ago, this classic queen size poster bed has carved rice motifs from a South Carolina plantation. The original finish is in very fine condition with only minor mars on this American made vintage furniture. Solid mahogany fluted posts disassemble for easier moving. Wood side rails are original. Size is 66" wide, 86" long and 80" tall. See 19 photos on Harp Gallery website that enlarge to full screen size.